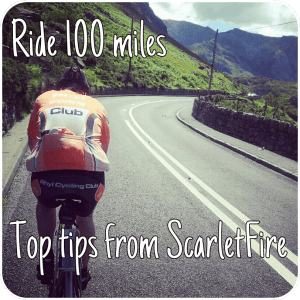 ScarletFire: Cycling gear reviews, Garmin tutorials, Strava tips and more. Grab my FREE ebook - the Century cheat sheet! Still feel strong at the end! How to use Strava to plan your bike maintenance. Strava users know all about tracking their mileage totals, but did you know you can track mileage on individual components? How many miles have you done on those tyres since you put them on? What about that chain, or the cassette? Reader’s Questions: How to rename a Garmin course file? Have you ever tried to rename a course for your Garmin but couldn’t get it to work? In response to a question from a reader, here’s a simple way to do just that. Strava security never really crossed your mind? Bike thieves are laughing at you. You’re making it easy for them by posting too much info online. Find out how to secure your data, and keep your bike and home safe. Customise your Garmin Edge 800 with these free background wallpaper images. Here’s another cool way to customise your Edge 800. This time, it’s your own personal background image.